The index has made a low of 16013 at the time of writing and slightly recovered from that level.It is currently trading around 16158.Short term trend is bearish as long as resistance 16570 (7 W EMA) holds. Any break below 16000 will drag the index down till 15500/15250 in short term.On the higher side major resistance is around 16600 any break above will take the index to next level till 17000/17300. The index major resistance is around 16325 and break above targets 16500. 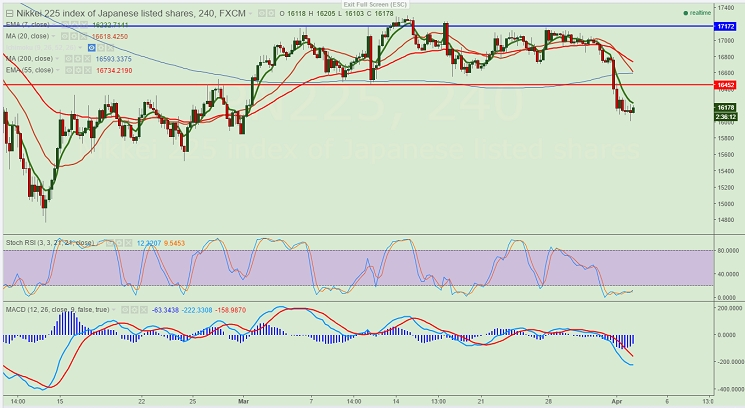 Short term bearish invalidation only above 17300. It is good to sell on rallies around 16350-16400 with SL around 16600 for the TP of 16000/15560.